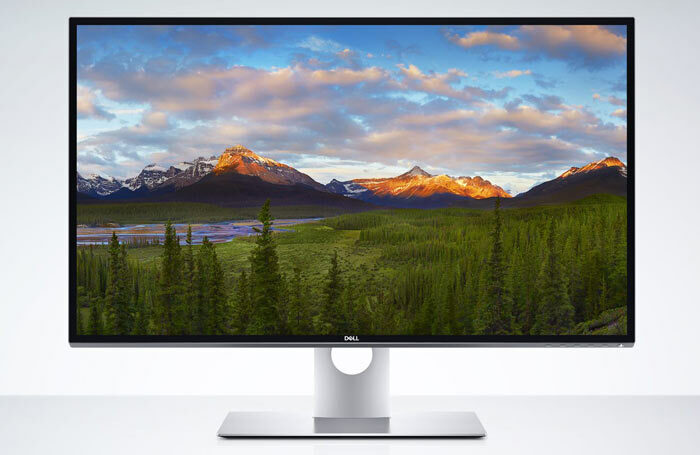 Dell says that it is committed "to delivering the best visual experiences for our customers," and with this in mind it has unveiled the Dell UltraSharp 32 Ultra HD 8K monitor at CES 2017. As you might guess from the nomenclature this is a 32-inch monitor and it offers an 8K resolution - that's equivalent to 4x 4K, or 16x FHD monitors, with 32.2 million pixels. As monitor quality isn't just about squeezing in as many pixels as possible, Dell's monitor panel was also chosen for colour accuracy. The "near borderless" P3218K is a Dell PremierColor monitor with 1.07 billion colours and 100 percent Adobe RGB and 100 percent sRGB. Dell sees its first 8K monitor being adopted in commercial fields where in-depth image zooming is critical - such as photo and video editing, medicine and diagnostic research, and oil and gas exploration. The Dell UltraSharp 32 Ultra HD 8K Monitor (UP3218K) will be available from 23rd March via Dell.com in the United States starting at $4,999. If Ultrasharp isn't your thing but Ultrathin-is-in, you might be more interested in the S2718D. We published a story about this monitor back on Tuesday, and it has since become a CES 2017 Innovation Awards Honoree. As a reminder this 27-inch QHD monitor with USB Type-C connectivity offers "the world’s thinnest profile in its class," and is an InfinityEdge display so looks particularly swish. Again this monitor becomes available first via Dell.com in the US on 23rd March, priced from $699. Dell also has a new 24-inch monitor with 10-point touch. It claims this anti-glare screen shrugs off distracting reflections and fingerprints. The (P2418HT) Touch Monitor's screen is particularly adjustable with a wide range of articulation for height tilt and swivel, likely to make touch interaction more comfortable. The Dell 24 Monitor for Video Conferencing (P2418HZ) is equipped with a two megapixel Full HD IR camera with privacy shutter, noise-cancelling microphone and dual 5W speakers. It is certified for use with Microsoft Skype for Business and can also authenticate your Windows 10 computer thanks to Windows Hello and accept voice commands for Cortana. Both the above 24-inch monitors become available from 12th January. They will cost $399 and $329 receptively, at Dell.com. An interesting product from Dell at CES was the Dell Canvas. You might guess this is a 27-inch tablet but it's not, this 'smart workspace' still requires a computer to work with. 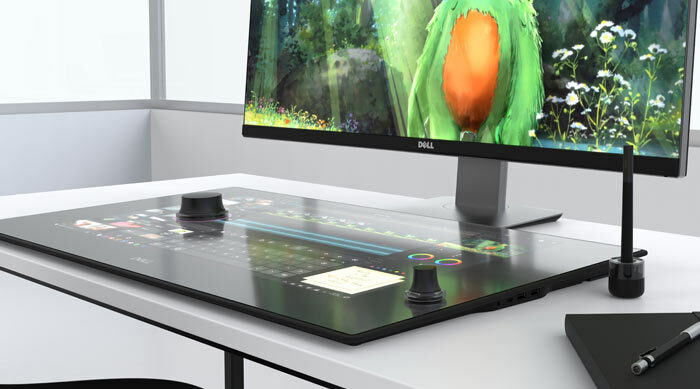 Dell supplies the QHD Canvas with a Surface Dial-alike rotary control and pen. Launch will follow the Windows 10 Creator's Update, likely towards the end of March. Price will be under $2000. Below I've embedded a CNet overview video of the Dell Canvas below. As long as you don't buy an Asus monitor ( very bad experience ) You will be okay and confident Don't trust Asus. Spent 1000 pounds on one, disgusting service from Asus and Scan not backing me up. Let's put it this way, they need 2 displayport cables. Will the human eye even see the difference over 4k? ?